Grass materials is a max file with 3 different and realistic Vray Shaders. Entire scene is Ready-to-Render, its easy to modify and apply in any object. Contains VrayDisplacement maps and all the textures needed for the shader. 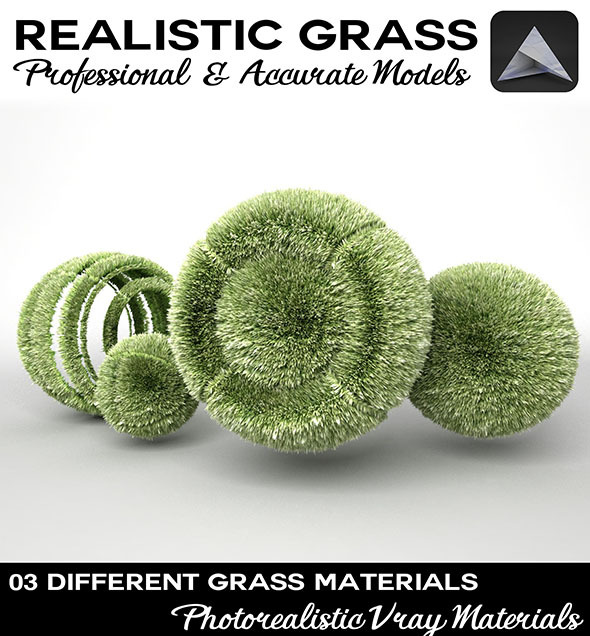 Grass Materials file is compatible with AfterEffects, C4D and Sketchup. Includes .obj .fbx & .mat formats, also counts with 2014 max version. Don´t forget to rate and comment, Enjoy it!